Mixed Credit Files Can Be Very Difficult to Correct | The Consumer Law Group, P.C. We always remind our clients of the importance of checking their credit reports at least once a year for accuracy. 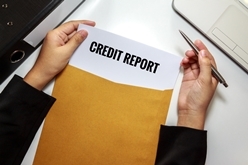 Credit reports can often contain inaccurate information that negatively affects your credit rating. Many consumers don’t even know there’s a problem until they are denied a loan or turned down for a job based on something on their report. The report may mistakenly reflect unpaid debt, credit cards you no longer have, or duplicate accounts. Most of these errors can be remedied through the credit reporting agency’s (CRA’s) dispute resolution system, but other errors are not so easily fixed. One credit report problem that becomes a nightmare for many consumers is that of a mixed file. This is when another person’s information is entered onto your credit report because of a shared name, address, birth date, or a similar Social Security Number. These mixed files become very difficult to untangle due to the automated nature of the dispute resolution process. CRAs handle thousands of disputes every day and often outsource them to overseas workers, who are given few options for resolving them. The only way to resolve a mixed file is to work with a person within the agency who has the authority to remove information from a report, and it can be nearly impossible to reach such a person. The data entry systems used by the CRAs are designed to allow for some error. In other words, they will accept data that is not an exact match—maybe the Social Security Number is off by a digit or the middle initial is different—to be added to a report. They do this to allow for mistakes made in gathering the information. CRAs would rather risk adding someone else’s information to your credit report than failing to include important information on a report. Financial services firms pay the credit agencies for the most complete information they can get on an applicant, even if some of that information is false. The challenge with fixing a mixed file is that you have to be able to provide evidence of your identity and prove that you are not the other person whose information is included on your report. Because the CRAs are overwhelmed with disputes and do not have the manpower to deal with your dispute individually, your only options are to ignore the information (which many people choose to do if the information is not damaging their credit) or call an attorney and sue the CRA. In a well-publicized case a few years ago, a woman in Oregon was awarded $18.4 million after failing to untangle a mixed file with Equifax after 13 letters and more than two years. This amount of punitive damages may be unusual, but judges are siding with consumers more and more. If you have tried unsuccessfully to fix a credit report error, call the experienced legal team at The Consumer Law Group.